Monaco (; [mɔnako]), officially the Principality of Monaco (French: Principauté de Monaco), is a sovereign city-state, country and microstate located on the French Riviera in Western Europe. France borders the country on three sides while the other side borders the Mediterranean Sea. Monaco has an area of 2.02 km2 (0.78 sq mi) and a population of about 38,400 according to the last census of 2016. With 19,009 inhabitants per km², it is the second smallest and most densely populated sovereign state in the world. Monaco has a land border of 5.47 km (3.40 mi), a coastline of 3.83 km (2.38 mi), and a width that varies between 1,700 and 349 m (1,859 and 382 yd). The highest point in the country is a narrow pathway named Chemin des Révoires on the slopes of Mont Agel, in the Les Révoires Ward, which is 161 metres (528 feet) above sea level. Monaco's most populous Quartier is Monte Carlo and the most populous Ward is Larvotto/Bas Moulins. Through land reclamation, Monaco's land mass has expanded by twenty percent; in 2005, it had an area of only 1.974 km2 (0.762 sq mi). Monaco is known as a playground for the rich and famous, due to its tax laws. In 2014, it was noted about 30% of the population was made up of millionaires, more than in Zürich or Geneva. Economic development was spurred in the late 19th century with the opening of the country's first casino, Monte Carlo, and a railway connection to Paris. Since then, Monaco's mild climate, scenery, and gambling facilities have contributed to the principality's status as a tourist destination and recreation center for the rich. In more recent years, Monaco has become a major banking center and has sought to diversify its economy into services and small, high-value-added, non-polluting industries. The state has no income tax, low business taxes, and is well known for being a tax haven. It is also the host of the annual street circuit motor race Monaco Grand Prix, one of the original Grands Prix of Formula One. Monaco's name comes from the nearby 6th-century BC Phocaean Greek colony. Referred to by the Ligurians as Monoikos, from the Greek "μόνοικος", "single house", from "μόνος" (monos) "alone, single" + "οἶκος" (oikos) "house", which bears the sense of a people either settled in a "single habitation" or of "living apart" from others. According to an ancient myth, Hercules passed through the Monaco area and turned away the previous gods. As a result, a temple was constructed there, the temple of Hercules Monoikos. Because the only temple of this area was the "House" of Hercules, the city was called Monoikos. It ended up in the hands of the Holy Roman Empire, which gave it to the Genoese. An ousted branch of a Genoese family, the Grimaldi, contested it for a hundred years before actually gaining control. Though the Republic of Genoa would last until the 19th century, they allowed the Grimaldi family to keep Monaco, and, likewise, both France and Spain left it alone for hundreds of years. France did not annex it until the French Revolution, but after the defeat of Napoleon it was put under the care of the Kingdom of Sardinia. In the 19th century, when Sardinia became a part of Italy, the region came under French influence again but France allowed it to remain independent. Like France, Monaco was over-run by the Axis powers during the Second World War and for a short time was administered by Italy, then the Third Reich, before finally being liberated. Although the occupation lasted for just a short time, it meant the deportation of the Jewish population and execution of several resistance members from Monaco. Since then Monaco has been independent. It has taken some steps towards integration with the European Union. Following a land grant from Emperor Henry VI in 1191, Monaco was refounded in 1215 as a colony of Genoa. Monaco was first ruled by a member of the House of Grimaldi in 1297, when Francesco Grimaldi, known as "Il Malizia" (translated from Italian either as "The Malicious One" or "The Cunning One"), and his men captured the fortress protecting the Rock of Monaco while dressed as Franciscan monks – a monaco in Italian, although this is a coincidence as the area was already known by this name. Francesco, however, was evicted only a few years afterwards by the Genovese forces, and the struggle over "the Rock" continued for another century. The Grimaldi family was Genoese and the struggle was something of a family feud. However, the Genoese became engaged in other conflicts, and in the late 1300s Genoa became involved in a conflict with the Crown of Aragon over Corsica. The Crown of Aragon eventually became a part of Spain through marriage (see modern day Catalonia) and other parts drifted into various pieces of other kingdoms and nations. Between 1793 and 1814 Monaco was occupied by the French (in this period much of Europe had been overrun by the French under command of Napoleon). The principality was reestablished in 1814 only to be designated a protectorate of the Kingdom of Sardinia by the Congress of Vienna in 1815. Monaco remained in this position until 1860 when, by the Treaty of Turin, the Sardinian forces pulled out of the principality and the surrounding county of Nice (as well as Savoy) was ceded to France. Monaco became a French protectorate once again. Before this time there was unrest in Menton and Roquebrune, where the townspeople had become weary of heavy taxation by the Grimaldi family. They declared their independence, hoping for annexation by Sardinia. France protested. The unrest continued until Charles III gave up his claim to the two mainland towns (some 95% of the principality at the time) that had been ruled by the Grimaldi family for over 500 years. These were ceded to France in return for 4,100,000 francs. The transfer and Monaco's sovereignty were recognized by the Franco-Monegasque Treaty of 1861. In 1869, the principality stopped collecting income tax from its residents—an indulgence the Grimaldi family could afford to entertain thanks solely to the extraordinary success of the casino. 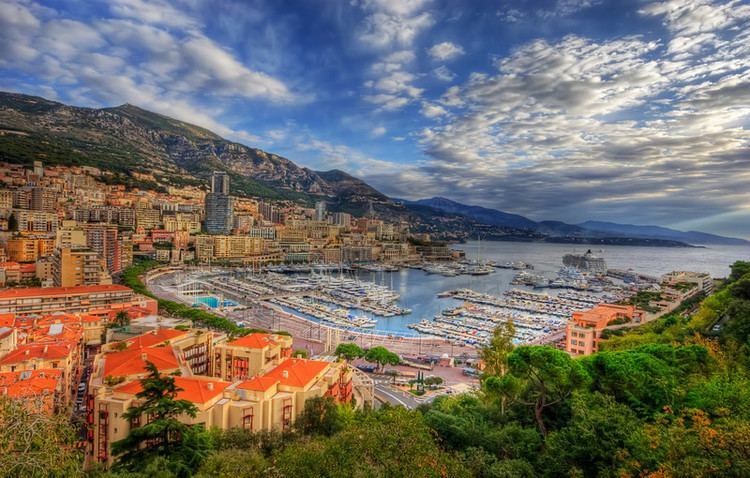 This made Monaco not only a playground for the rich, but a favored place for them to live. On 27 August 2015, Albert II apologised for Monaco's role during World War II in facilitating the deportation of a total of 90 Jews and resistance fighters, of whom only nine survived. "We committed the irreparable in handing over to the neighbouring authorities women, men and a child who had taken refuge with us to escape the persecutions they had suffered in France," Albert said at a ceremony in which a monument to the victims was unveiled at the Monaco cemetery. "In distress, they came specifically to take shelter with us, thinking they would find neutrality." Under the 1962 constitution, the prince shares his veto power with the unicameral National Council. The 24 members of the National Council are elected for five-year terms; 16 are chosen through a majority electoral system and 8 by proportional representation. All legislation requires the approval of the National Council, which is currently dominated by the conservative Rally and Issues for Monaco (REM) party which holds twenty seats. Union Monégasque holds three seats while Renaissance holds one seat. The principality's city affairs are directed by the Communal Council, which consists of fourteen elected members and is presided over by a mayor. Unlike the National Council, councillors are elected for four-year terms, and are strictly non-partisan, however, oppositions inside the council frequently form. Monaco is a sovereign city state, with five quartiers and ten wards, located on the French Riviera in Western Europe. 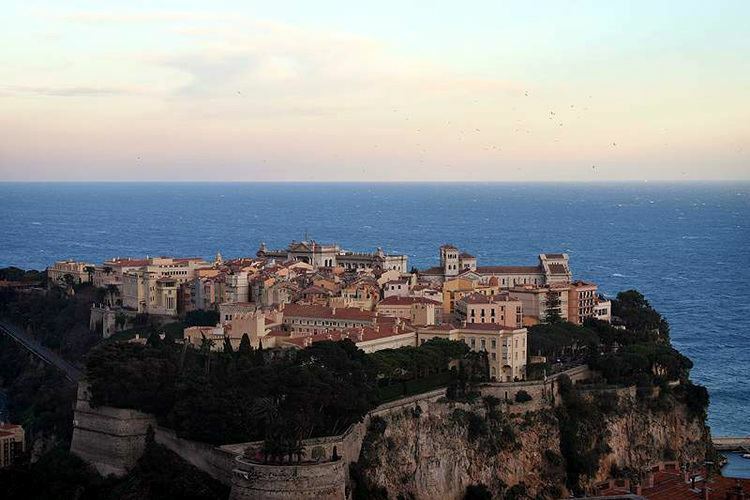 It is bordered by France's Alpes-Maritimes département on three sides, with one side bordering the Mediterranean Sea. Its center is about 16 km (9.9 mi) from Italy and only 13 km (8.1 mi) northeast of Nice, France. It has an area of 2.02 km2 (0.78 sq mi) or 202 hectares (500 acres) and a population of 38,400, making Monaco the second smallest and the most densely populated country in the world. The country has a land border of only 5.47 km (3.40 mi), a coastline of 3.83 km (2.38 mi), a maritime claim that extends 22.2 kilometres (13.8 mi), and a width that varies between 1,700 and 349 m (5,577 and 1,145 ft). The highest point in the country is at the access to the Patio Palace residential building on the Chemin des Révoires (ward Les Révoires) from the D6007 (Moyenne Corniche street) at 164.4 metres (539 feet) above sea level. The lowest point in the country is the Mediterranean Sea. Saint-Jean is the longest flowing body of water, around 0.19 km (0.12 miles) in length, and Fontvieille is the largest lake, approximately 0.5 ha (1.24 acres) in size. Monaco's most populated quartier is Monte Carlo, and the most populated ward is Larvotto/Bas Moulins. After a recent expansion of Port Hercules, Monaco's total area grew to 2.02 km2 (0.78 sq mi) or 202 hectares (500 acres); consequently, new plans have been approved to extend the district of Fontvieille by 0.08 km2 (0.031 sq mi) or 8 hectares (20 acres), with land reclaimed from the Mediterranean Sea. Current land reclamation projects include extending the district of Fontvieille. 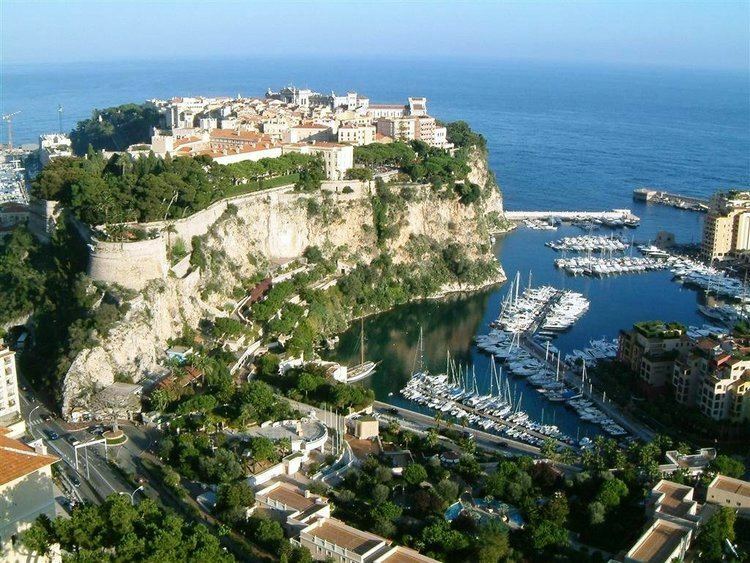 There are two ports in Monaco, Port Hercules and Port Fontvieille. Monaco's only natural resource is fishing; with almost the entire country being an urban area, Monaco lacks any sort of commercial agriculture industry. There is a neighboring French port called Cap d'Ail that is near Monaco. Monaco exhibits a wide range of architecture, but the principality's signature style, particularly in Monte-Carlo, is that of the Belle Epoque. It finds its most florid expression in the 1878-9 Casino and the Salle Garnier created by Charles Garnier and Jules Dutrou. Decorative elements including turrets, balconies, pinnacles, multi-coloured ceramics and caryatids and borrowed and blended to create a picturesque fantasy of pleasure and luxury, and an alluring expression of how Monaco sought, and still seeks, to portray itself. This capriccio of French, Italian and Spanish elements was incorporated into hacienda villas and apartments. Following major development in the 1970s, Prince Rainier III banned high rise development in the principality. However his successor, Prince Albert II, overturned this Sovereign Order. In recent years the accelerating demolition of Monaco's architectural heritage, including its single-family villas, has created dismay. The principality currently has no heritage protection legislation. Monaco has a hot-summer Mediterranean climate (Köppen climate classification: Csa), which is influenced by the oceanic climate and the humid subtropical climate. As a result, it has warm, dry summers and mild, rainy winters. Cool and rainy interludes can interrupt the dry summer season, the average length of which is also shorter. Summer afternoons are infrequently hot (indeed, temperatures greater than 30 °C or 86 °F are rare) as the atmosphere is temperate because of constant sea breezes. On the other hand, the nights are very mild, due to the fairly high temperature of the sea in summer. Generally, temperatures do not drop below 20 °C (68 °F) in this season. In the winter, frosts and snowfalls are extremely rare and generally occur once or twice every ten years. Monaco has the world's second highest GDP nominal per capita at US$153,177, GDP PPP per capita at $132,571 and GNI per capita at $183,150. It also has an unemployment rate of 2%, with over 48,000 workers who commute from France and Italy each day. According to the CIA World Factbook, Monaco has the world's lowest poverty rate and the highest number of millionaires and billionaires per capita in the world. For the fourth year in a row, Monaco in 2012 had the world's most expensive real estate market, at $58,300 per square metre. One of Monaco's main sources of income is tourism. Each year many foreigners are attracted to its casino (where citizens are denied entry ) and pleasant climate. It has also become a major banking center, holding over €100 billion worth of funds. The principality has successfully sought to diversify its economic base into services and small, high-value-added, non-polluting industries, such as cosmetics and biothermics. The Blancs opened Le Grand Casino de Monte Carlo in 1858 and the casino benefited from the tourist traffic the newly built French railway system created. Due to the combination of the casino and the railroads, Monaco finally recovered from the previous half-century of economic slump and the principality's success attracted other businesses. In the years following the casino's opening, Monaco founded its Oceanographic Museum and the Monte Carlo Opera House, 46 hotels were built and the number of jewelers operating in Monaco increased by nearly five-fold. By 1869, the casino was making such a vast sum of money that the principality could afford to end tax collection from the Monegasques—a master stroke that was to attract affluent residents from all over Europe. People use Monaco as a "tax haven" from their own country's taxes because Monaco as an independent country is not obligated to pay taxes to other countries. Monaco levies no income tax on individuals subject to some conditions. The absence of a personal income tax in the principality has attracted to it a considerable number of wealthy "tax refugee" residents from European countries who derive the majority of their income from activity outside Monaco; celebrities such as Formula One drivers attract most of the attention, but the vast majority of them are lesser-known business people. However, due to a bilateral treaty with France, French citizens are still required to pay applicable income and wealth taxes to the French state even if they are resident in Monaco. In 1998 the Centre for Tax Policy and Administration, part of the Organisation for Economic Co-operation and Development (OECD), issued a first report on the consequences of the tax havens' financial systems. Monaco did not appear in the list of these territories until 2004, when OECD became indignant regarding the Monegasque situation and denounced it in its last report, as well as Andorra, Liechtenstein, Liberia and the Marshall Islands, underlining its lack of co-operation regarding financial information disclosure and availability. Monaco's total population was 38,400 in 2015. Monaco's population is unusual in that the native Monegasques are a minority in their own country: the largest group are French nationals at 28.4%, followed by Monegasque (21.6%), Italian (18.7%), British (7.5%), Belgian (2.8%), German (2.5%), Swiss (2.5%) and U.S. nationals (1.2%). Citizens of Monaco, whether born in the country or naturalised, are called Monegasque. Monaco has the world's highest life expectancy at nearly 90 years. The official language of Monaco is French, while Italian is spoken by the principality's sizeable community from Italy. Thus, French and Italian supplants the Occitan language, the vernacular language of the Monegasques, which is not recognized as an official language ; English is used by American, British, Canadian and Irish residents. The official religion is the Catholic Church, with freedom of other religions guaranteed by the constitution. There are five Catholic parish churches in Monaco and one cathedral, which is the see of the archbishop of Monaco. According to Monaco 2012 International Religious Freedom Report, Protestants are the second largest group after Roman Catholics. There are various Evangelical Protestant communities that gather periodically. The report states that there are two Protestant churches, including the local Anglican church and a Reformed church. There is one Anglican church (St. Paul's Church), located in the Avenue de Grande Bretagne in Monte Carlo. In 2007 this had a formal membership of 135 Anglicans resident in the principality, but was also serving a considerably larger number of Anglicans temporarily in the country, mostly as tourists. The church site also accommodates an English language library of over 3,000 books. The church is part of the Anglican Diocese in Europe. The Muslim population of Monaco consists of about 280 people, most of whom are exclusively residents, not citizens. The majority of the Muslim population of Monaco are Arabs, though there are smaller Turkish minorities as well. Monaco does not have any official mosques. There is a Muslim mosque in nearby Beausoleil, France, within easy walking distance of Monaco. Since 1911 part of the Monte Carlo Rally has been held in the principality, originally held at the behest of Prince Albert I. Like the Grand Prix, the rally is organised by Automobile Club de Monaco. It has long been considered to be one of the toughest and most prestigious events in rallying and from 1973 to 2008 was the opening round of the World Rally Championship (WRC). From 2009 until 2011, the rally served as the opening round of the Intercontinental Rally Challenge. The rally returned to the WRC calendar in 2012 and has been held annually since. Due to Monaco's limited size, all but the ending of the rally is held on French territory. Monaco hosts two major football teams in the principality: the men's football club, AS Monaco FC, and the women's football club, OS Monaco. AS Monaco plays at the Stade Louis II and competes in Ligue 1 the first division of French football and are reigning champions, The club is historically one of the most successful clubs in the French league, having won Ligue 1 eight times (most recently in 2016–17) and competed at the top level for all but six seasons since 1953. The club reached the 2004 UEFA Champions League Final, with a team that included Dado Pršo, Fernando Morientes, Jérôme Rothen, Akis Zikos and Ludovic Giuly, but lost 3–0 to Portuguese team FC Porto. Many international stars have played for the club, such as French World Cup-winners Thierry Henry, Fabien Barthez and David Trezeguet. The Stade Louis II also played host to the annual UEFA Super Cup (1998–2012) between the winners of the UEFA Champions League and the UEFA Europa League. The Monaco national football team represents the nation in association football and is controlled by the Monégasque Football Federation, the governing body for football in Monaco. However, Monaco is one of only two sovereign states in Europe (along with Vatican City) that is not a member of UEFA and so does not take part in any UEFA European Football Championship or FIFA World Cup competitions. The team plays its home matches in the Stade Louis II. The 2009 Tour de France, the world's premier cycle race, started from Monaco with a 15 kilometres (9 miles) closed-circuit individual time trial starting and finishing there on the first day, and the 182 kilometres (113 miles) second leg starting there on the following day and ending in Brignoles, France. Monaco has a national museum of contemporary visual art at the New National Museum of Monaco. The country also has numerous works of public art, statues, and memorials (see list of public art in Monaco). There is also a Monaco bus company (CAM) which offers you the possibility to move easily. The network covers all the tourist attractions, museums, Exotic garden, business centres, and even the Casino or the Louis II Stadium. Monaco made a special agreement with France in 1963 in which French customs laws apply in Monaco and its territorial waters. Monaco uses the euro but is not a member of the European Union. Monaco shares a 6-kilometre (3.7-mile) border with France but also has about 2-kilometre (1.2-mile) of coastline with the Mediterranean sea. Two important agreements that support Monaco's independence from France include the Franco-Monegasque Treaty of 1861 and the French Treaty of 1918 (see also Kingdom of Sardinia The United States CIA Factbook records 1419 as the year of Monaco's independence). There are two "full" embassies in Monaco; France and Italy. There are about another thirty or so consulates. By the 21st century Monaco maintained embassies in Belgium (Brussels), France (Paris), Germany (Berlin), the Vatican, Italy (Rome), Spain (Madrid), Switzerland (Bern), United Kingdom (London) and the United States (Washington). In the year 2000 nearly two thirds of the residents of Monaco were foreigners In 2015 the immigrant population was estimated at 60% However, it is reported to be difficult to gain citizenship in Monaco, or at least in relative number there is not many people who do so. In 2015 an immigration rate of about 4 people per 1,000 was noted, which works out to something like 100–150 people a year. The population of Monaco went from 35,000 in 2008 to 36,000 in 2013, and of that about 20 percent were native Monegasque (see also Nationality law of Monaco). The common issue Monaco has with other countries is if the foreigner tries to use Monaco to avoid paying taxes in their own country. Monaco actually collects a number of taxes including a 20% VAT and 33% on companies unless they make over 75% of their income inside Monaco. Monaco does not allow dual-citizenship, but does have multiple paths to citizenship including by declaration and naturalisation. In many cases the key issues for citizens is not attaining residency in Monaco, but their ties to their departure country. For example, French citizens must still pay taxes to France even if they live full-time in Monaco unless they resided in the country before 1962 for at least 5 years. In the early 1960s there was some tension between France and Monaco over taxation.